Seattle mayor Ed Murray at City Hall celebrates council passing police accountability legislation that has been years in the making with council members Lorena González and Tim Burgess, who helped craft the bill in committee, on May 22, 2017. After a year and a half of work, trips across the country, and countless conversations between city officials and civilian members, the Seattle City Council approved what many on Monday called "milestone" legislation establishing civilian oversight of police with three governing bodies—the Office of Police Accountability, Office of the Inspector General, and Community Police Commission. The council vote was 8-0, with council president Bruce Harrell absent. While the bill has a ways to go before it becomes law, council member Lorena González was still all smiles Monday afternoon, and praised council member Tim Burgess and mayor Ed Murray—for "leaving a legacy." Both elected officials will leave their positions by the end of this year. (Burgess is retiring, and Murray is not seeking reelection.) González also honored reverend Harriett Walden, who received a standing ovation from the crowd at the council meeting, and credited her for decades of advocating for police reform. "Seattle continues to show time and time again that we lead. This ordinance is no exception," González said at the council meeting. 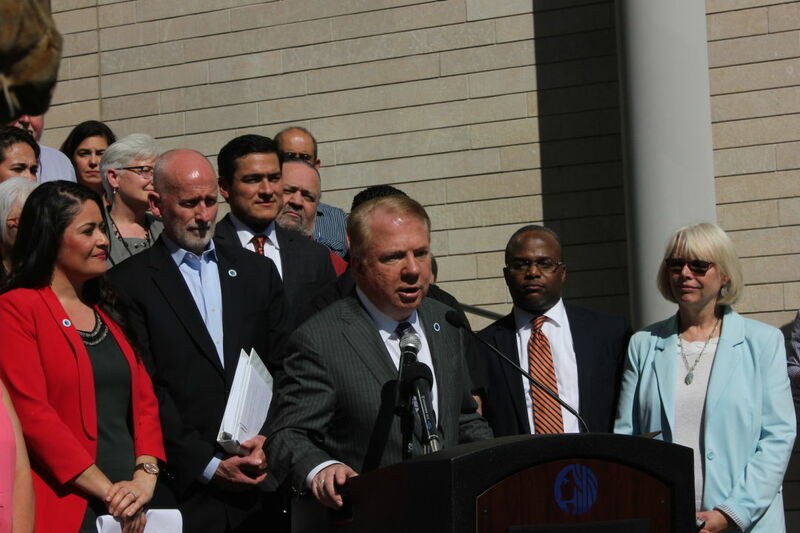 "This legislation will set us on a path to changing the culture at SPD, enhancing public trust in our officers, and always turning a mirror on ourselves to continuously improve rather than waiting for a crisis to perform. That has been my vision all along." The legislation ultimately included an amendment that compromised between city officials and CPC members who wanted more authority, beyond just recommendations, on what the inspector general investigates. González's change specified that the inspector general's annual workplan identify recommendations from the OPA and CPC, which recommendations were accepted, which were declined, and an explanation if recommendations were excluded. González also added a budget amendment that leaves the amount invested in the three oversight bodies open, addressing concerns of commitment to funding the added responsibilities the members and staff now have. (The CPC is now much larger, with 21 members instead of 15.) The amount will be decided in the fall during budget discussions. The bill had six amendments total, including an amendment by Lisa Herbold to provide the OPA with the same power to review confidential, non-public case files—authority the Office of Professional Accountability Review Board, which is essentially being replaced by the OPA, previously had. An amendment by council member Rob Johnson also adds that the city attorney indicates in writing the reason for declined representation to an oversight body. The changes on Monday addressed many of the CPC members's requests over the objection of Holmes and police chief Kathleen O'Toole. Holmes spoke during the public hearing Monday in support of the legislation, calling it a milestone, despite his disagreements with aspects of it. The CPC was created in 2012 under a federally mandated consent decree in a settlement agreement with the U.S. Department of Justice—who stepped in to investigate the SPD after John T. Williams, a Native American woodcarver, was shot four times and killed by police. "Council members have shown courage in resisting the pressures to water down the community role in police oversight. ... In order to heal the relationships between communities and police, there will have to be a safe space for disagreement and contention," CPC co-chair Enrique González said in a statement after the council meeting. "To the families of those who have lost loved ones, we have not forgotten your pain. It is that pain that drives us to continue working to change and reminds us that no piece of legislation will suffice so long as the culture of our police perpetuates brutality. We will continue to work and walk with you for as long as it takes." Seattle council members also approved a bill sponsored by Herbold to put into city law the public's rights to observe and record police interactions. Given the growing reliance on police body and car cameras, Herbold said it’s important to recognize the role of the public's observations in documenting and resisting police abuse. Updated May 23, 2017, at 9:40am. This post contains more background information and includes Harriett Walden. 3:39pm: This post corrects the process for sending the legislation to federal court; the city attorney will be working on three steps to move the law forward concurrently.